The past 100 years have seen significant changes in both the materials and the installation processes of the flooring industry. At the turn of the century, flooring choices included clay tile, linoleum, rubber, and cork, which were among the top choices for resilient flooring. 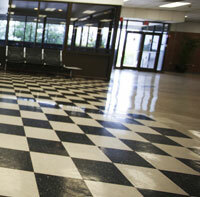 From there, asphalt tile was introduced, and vinyl flooring swept the market in the 1940s. While each of these had different benefits, many also proved to have limitations, like the susceptibility of rubber tile to alkaline moisture (not uncommon in basements), or cork’s highly porous nature. 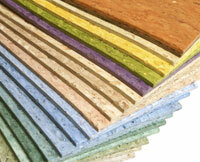 types of flooring materials being explored. Natural, renewable sourcing and low environmental impact are the foci in today’s flooring market, and different materials and even concrete types are being explored and tested. However, they will also have to face the test of time in proving their durability under normal conditions. The change to lower VOC products has also resulted in some increased susceptibilities to moisture conditions. Before the 1940s, flooring installation methods were often a matter of trade history, common practice and DIY experience, even for those “in the trade”. This is not to say that flooring professionals were anything less than absolutely professional for their times, but with the appearance of each new resilient flooring material, time ultimately provided the experience to understand how some flooring materials would perform in building conditions. Organizations like the ASTM, begun in the later 19th century, worked to develop standards not only for materials but also for processes for industrial building and manufacturing practices. A key development for the flooring industry was the standards for moisture testing as part of any flooring installation process. Whether in the flooring itself, or the subfloor of the system, adequately addressing moisture conditions is the number one factor in successful flooring installation. The first “standard” concrete moisture test method to gain wide industry use was the calcium chloride (CaCl) moisture test in the early 1940s. The history of the test method makes it clear that there was no genuine scientific observation behind the test method, but it served as a “go/no go” indication of the surface conditions of the concrete subfloor. Unfortunately, adhesive and flooring failures continued to plague the flooring industry and cost hundreds of thousands of dollars in time and materials due to moisture-related problems. What CaCl testing did not measure, because of the inherent limitations of the test method, was the internal moisture conditions of the concrete. Once any flooring is installed, it effectively seals the surface of the slab while internal moisture equalizes, or equilibrates, throughout the entire slab. In very practical terms, this process brings higher moisture amounts into contact with the flooring and adhesive that had been installed. It has been relatively recently that scientific research into the process of drying concrete has led to relative humidity (or RH) testing for concrete. Research demonstrates that a sensor placed at 40% of a concrete slab’s depth (when it’s drying from one side) would indicate very accurately what the final moisture conditions of the slab would be if it were sealed (by having a floor installed or sealant applied) at that point in time. RH testing, like with the award-winning Rapid RH®, has proven particularly important as new materials with more specific moisture tolerances are developed and brought to market. While it is certain that the history of resilient flooring will continue to be written as innovation and testing will provide better solutions, it is just as clear that accurate moisture testing will provide the basis for long-lasting and durable flooring over time. Better moisture testing equals better performance over time.